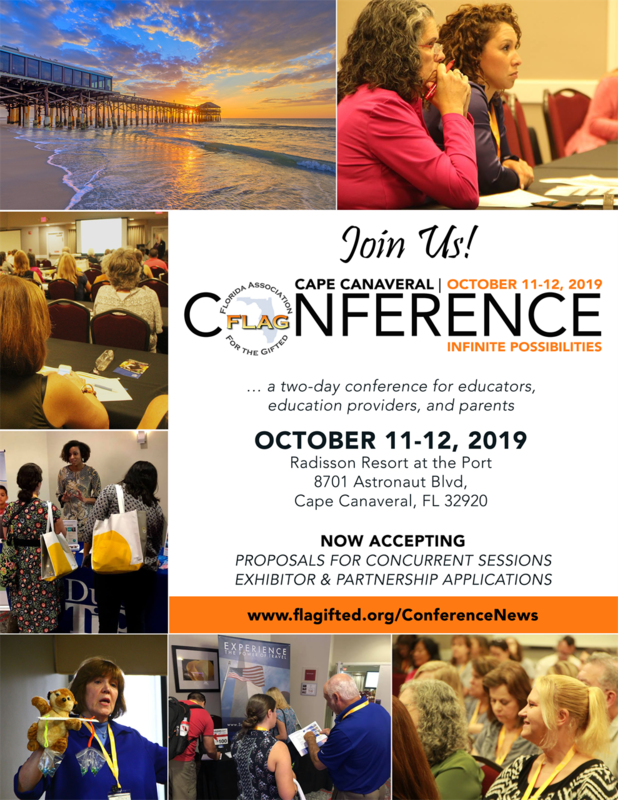 We are excited to invite you to join us at the 2019 Florida Association for the Gifted (FLAG) Annual Conference, held on October 11-12, 2019, at Radisson Resort at the Port, in Cape Canaveral! The conference will bring together educators, administrators, parents and other educational providers to discuss ideas and ways to engage and empower gifted learners. The conference will offer networking opportunities and foster healthy discussion among 400 participants from all over Florida. Join us in Cape Canaveral, where INFINITE POSSIBILITIES await you at our 2019 Annual Conference!